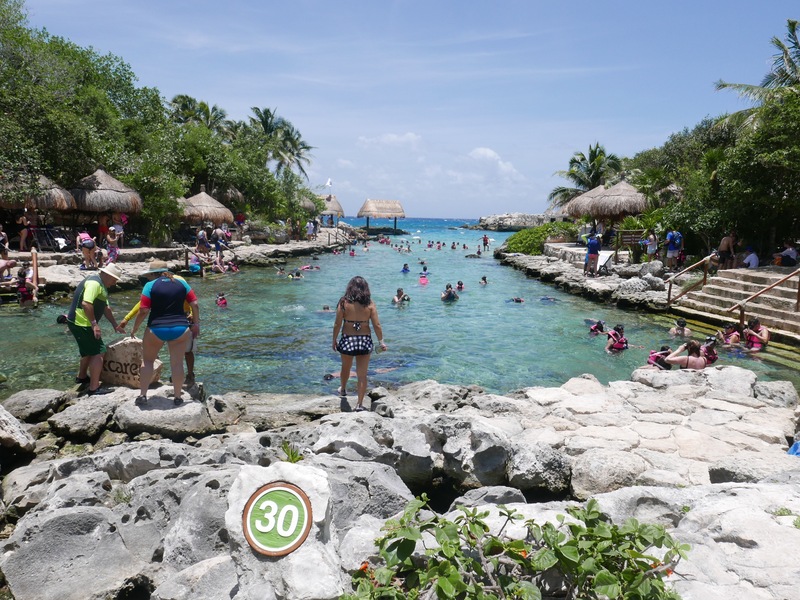 The Xcaret Eco Park is HUGE and is a gift to any visitor to Mexico. 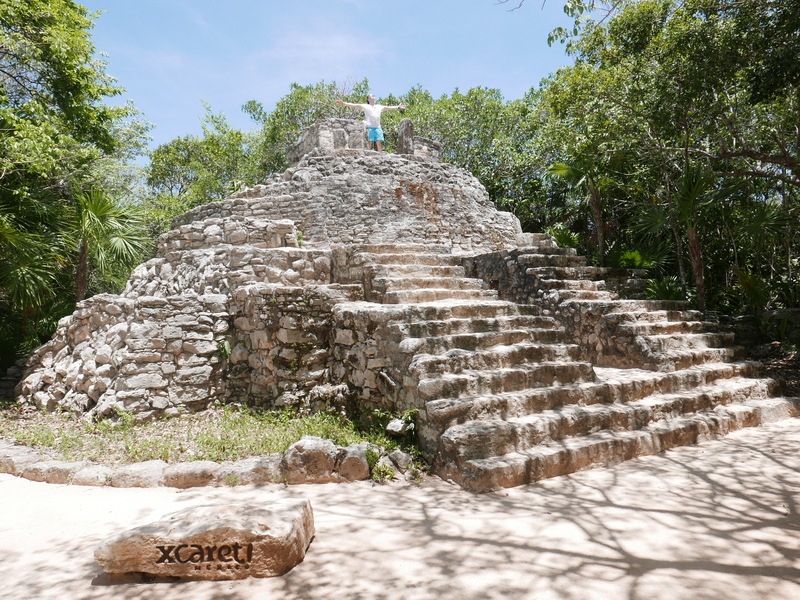 Xcaret (ISH-kar-et) is a beautiful wildlife haven and like no other place I have ever been and I literally have nothing to compare it too. It has however been dubbed Mexico’s Disney and you will see why. So you arrive in Mexico and are blown away by all there is to do, and the price tag! 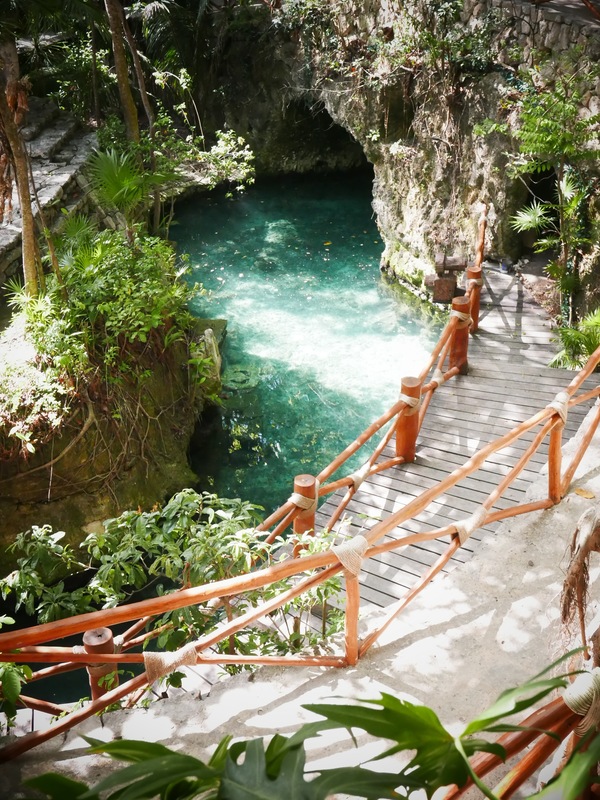 From swimming with Dolphins to visiting ancient Mayan ruins or just relaxing on a beautiful picture perfect beach. 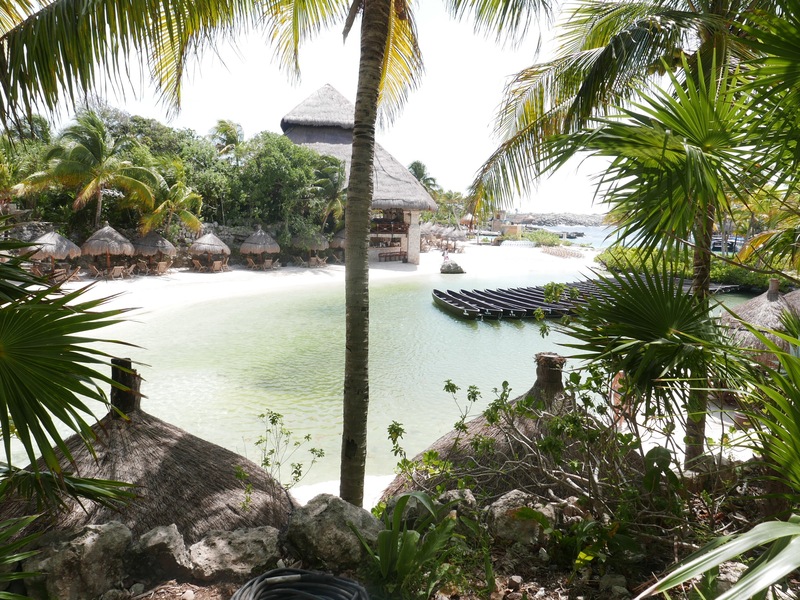 Xcaret has it all in one place. 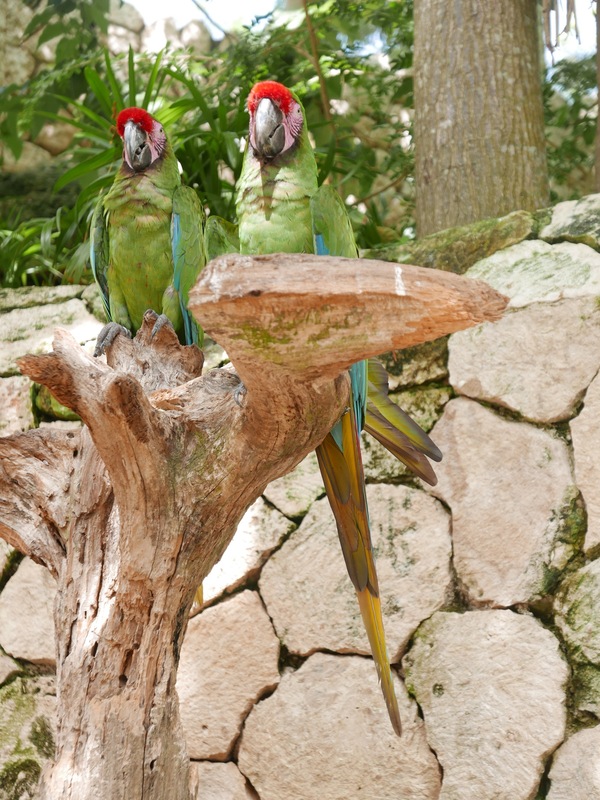 The park lets you explore the animals, plants, culture, history, music, food, and natural wonders of Mexico – all in one outstanding place. We hesitated on booking due to the price ($99 per person, 5-11 is 50% and 0-4 are free). There were package options with our travel agent for ticket entry, transport and lunch for $159. We opted for a DIY option booking a taxi for 5 of us from the hotel and booking tickets online saving $30 dollars per person. If your only option is with a travel agent, it is still worth the $$!! You can also get 15% off online if you book 21 days in advance! There are plenty of restaurants and kiosks situated throughout the park and clearly labelled on the maps. The food is descent and toddler friendly but a little pricey. We grabbed some extras from breakfast (obviously items at that didn’t need refrigerating) to keep costs down. Cold water was available readily throughout the park. With plenty of shade, seating areas and air conditioned in door spaces finding somewhere for the Globetoddler to nap was not a problem. He slept in his Babyzen Stroller as we continued our journey around the park. 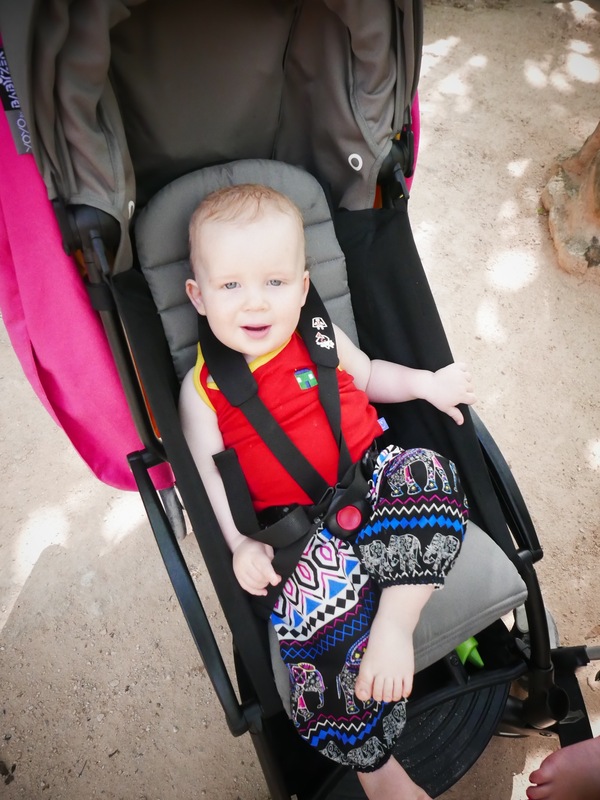 We also took his Connecta Solarweave sling but preferred him in the shade of the stroller. There is something here for everyone. The experience is unique and personal and the closest I have ever been to some of these creatures from the sea to the air. 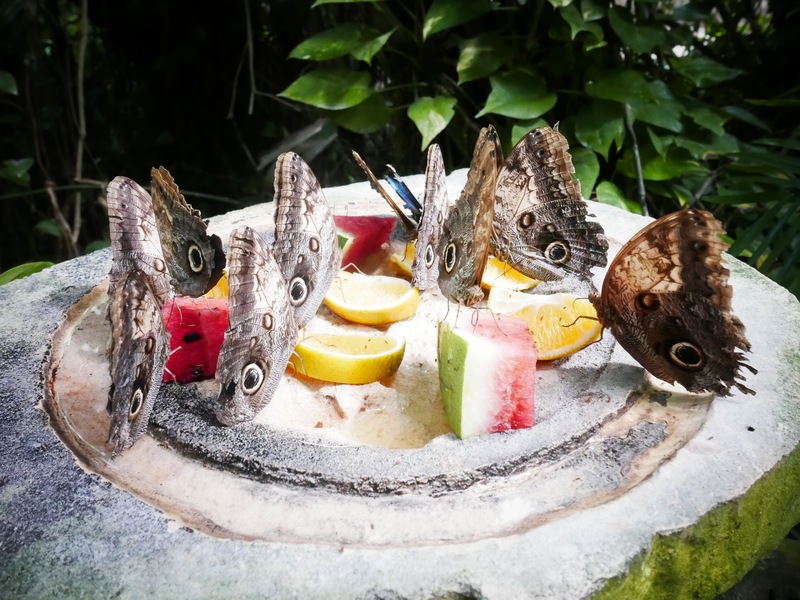 Our favourite parts of the day included seeing the sea turtles, stingray and nursing sharks, visiting the Mexican cemetery, relaxing on the inflatables at the beach and strolling around the aviary. 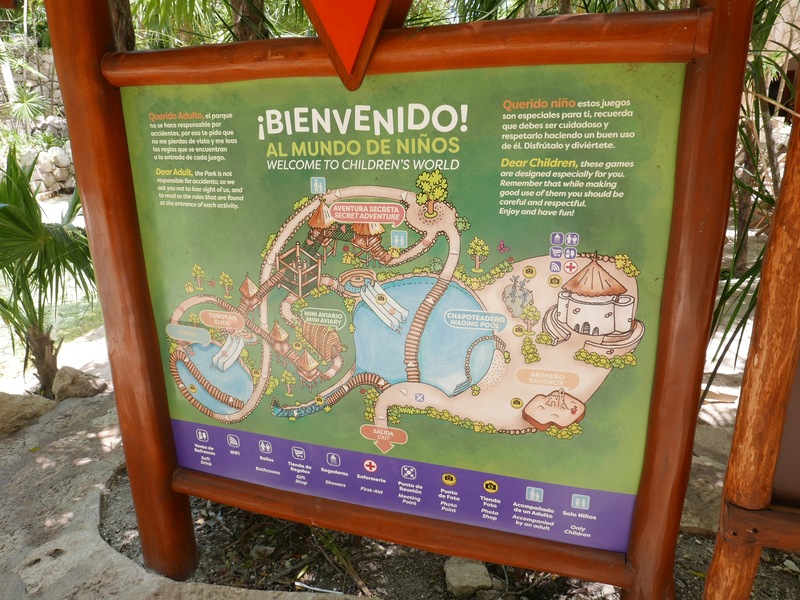 Importantly for the little ones there is an amazing kids area with a cenote to swim in, a sand pit for the littlest ones and outdoor adventure area for those a little older. Plenty of places for Mummy and Daddy to relax while they play! The underground lazy river is a must and there is no need to worry about your belongings (including stroller) as they provide you with a locked bag that they deliver to the other end of the river for you to collect. They provide life jackets and flippers and there is no age limit so little ones can participate as long as you feel comfortable. It’s 45minutes long but if the decided they want to get out its not a problem as there are exits every 5-10 minutes. You would however need to walk to the end of the river to pick up your belongings and it was a little chilly and dark in places but I guess that’s the nature of underground rivers. One to think about! For those that don’t fancy the swim, there is also a Paradise River boat ride that takes you on a tour around the channels. As well as the huge array of included activities there are optional extras ($$) that include Seatreks, swimming with sharks, stingrays or dolphins, snorkelling and boat trips. There is so much to see and do there is really no need to book an extra unless you would really like too! A picture says a thousand words so don’t forget to check out our scrapbook for a better idea of what to do and what you can expect. 1. PLAN YOUR DAY-I know you are on vacation and don’t necessarily want to make plans, but if you go into the park and walk around aimlessly you won’t get to see and experience half of what it has to offer. There are also several shows and events throughout the day so make sure you plan that out as well so you get to see the Mayan Show or the Flying Men. 2. TAKE A STROLLER-The park is very stroller friendly. There are ramp walkways up and down to each attraction so taking the stroller was no hassle at all. It was perfect for the Globetoddler to take his lunchtime nap as well as carry the bags throughout the day. You can also hire strollers at the park. 3. GET THERE EARLY-Heat and toddlers doesn’t mix well so take advantage of the cooler morning hours. The park also fills up pretty quickly so grab an early lunch before the queues start forming. 4. BRING YOUR OWN-Although you can hire masks and snorkels at the park, it is only available in certain areas. There is plenty of snorkelling to be had at the beach which is a lot quieter than the dedicated snorkelling area. And snacks too…the food is pricey as you would expect for such a park. 5. BOOK IN ADVANCE- Book over 7 days in advance and receive 10% and over 21 days and receive 15% discount. This can be done online but tickets need to be printed. Your reservations desk at your hotel could probably do this for you as they did for us! Additional Facilities: Stroller rental, baby changing facilities (the lovely ones with a toilet for Mummy in too and a baby seat to keep wriggly toddlers still while you pee! ), and suncream exchange (for an environmentally friendly one).